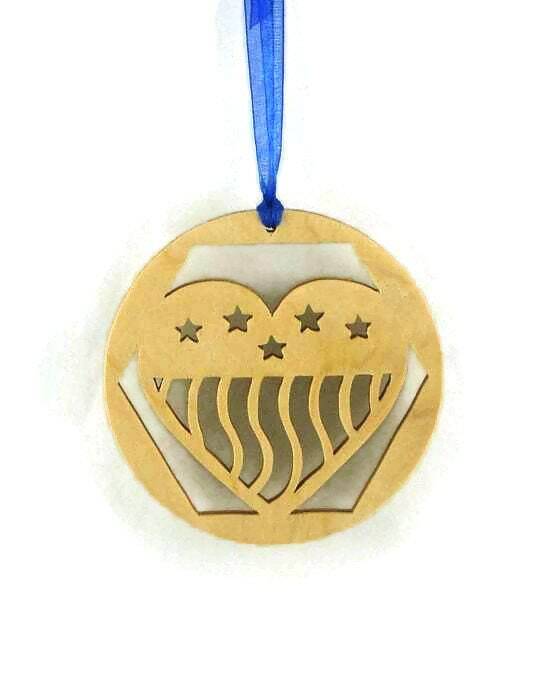 This half staff / half mast flag Christmas ornament was made to honor our fallen soldiers and their families during the busy holidays. 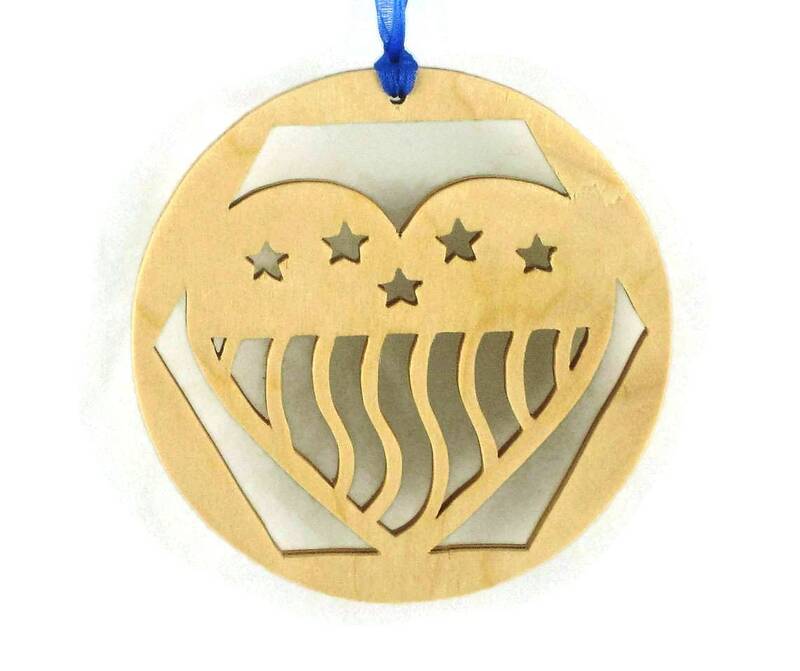 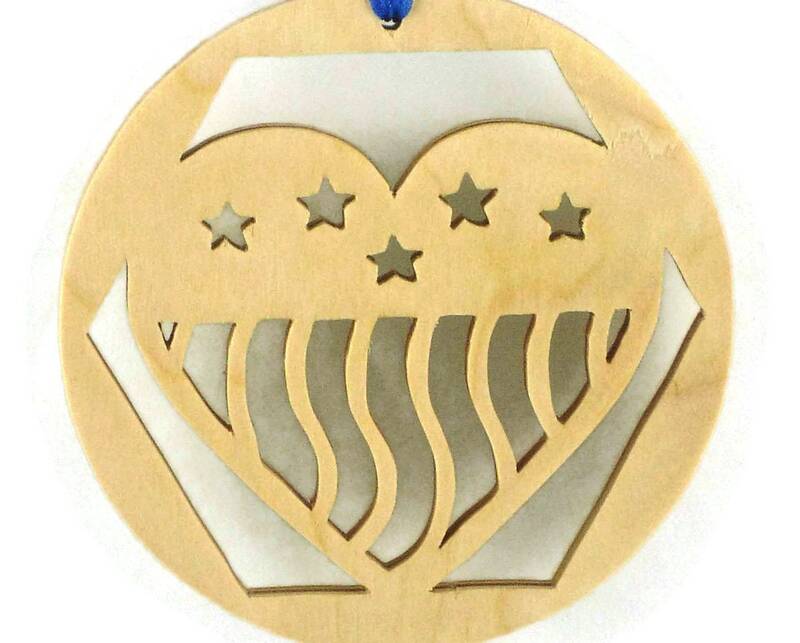 This half staff flag Christmas ornament features a flag cutout in the middle of a circular shaped ornament. 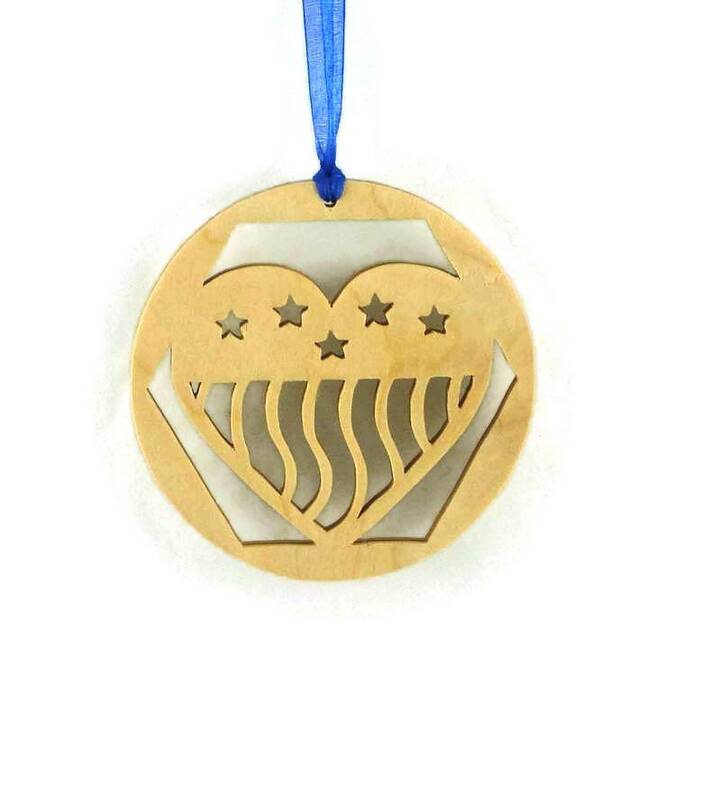 Made out of high grade 1/4 inch thick Birch craft plywood finished with a natural colored Danish oil finish and topped off with a Red, White or Blue fabric ribbon for ease of hanging on your Christmas tree.